India’s surging economic growth and consequent urbanization over the last decade has led to an inevitable rise in ownership and use of motorized vehicles across cities and towns. It has been projected that an investment of Rs.4,35,380 Crores (2008-2027) will be required for making improvements in the Urban Transport sector for 87 cities (Wilbur Smith Report, 2008). National Urban Transport Policy (NUTP) was launched in 2006 by the Ministry of Urban Development (MoUD). It was created to motivate the building of people-centric urban transport solutions instead of focusing on improving the conditions for private motor vehicles. The policy emphasizes the need of the majority of the population using public transport and non motorized modes. Effective implementation of NUTP calls for clear understanding of the very concept of sustainability at all levels of governance. This is a unique project which adopts a two pronged approach towards the problem in question. On the one hand, it aims to build capacities at all levels, i.e., national, state and local; and institutional and individual. On the other hand, it delves deep into the system itself and aims to set examples of good urban transport planning by demonstrating sustainable urban transport projects in various cities through implementation of varied projects. SUTP has a unique funding pattern. This project is jointly funded by Government of India, GEF (through The World Bank and UNDP) and The World Bank. This partnership is not only restricted to funding but also extends to technical expertise which is provided in abundance from all these agencies. This feature will ensure that the stakeholders of the project learn from technical experts who have pioneered similar projects worldwide, thus making the education process more comprehensive. This feature gives the capacity building component a new importance. Building the nation's capacity in the field of Urban Transport planning by imparting education and training at individual levels and strengthening capacity at institutional levels in the areas of planning, financing, implementing, operating and managing sustainable urban transport systems. Demonstrating 'green' or 'sustainable' transport planning practices by actually implementing certain Urban Transport projects in selected cities. The project is being implemented by Ministry of Urban Development (Government of India) through a Project Management Unit (PMU) at the national level, under overall guidance of a Steering Committee (under the chairmanship of Secretary Urban Development, Ministry of Urban Development). The Project Management Unit is assisted by a Project Management Consultant (M/s Mott MacDonald Pvt. Ltd.) and is required to oversee and guide the implementation by the Implementing Agencies (cities). 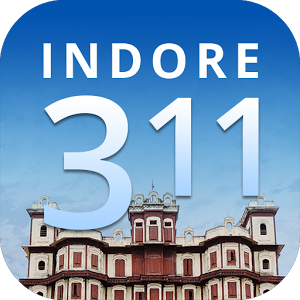 Indore is part of Component 2. Integrated land use, transport planning and Transit-Oriented Development (TOD). AICTSL INTRODUCTION:-With the objective of implementing reliable and efficient public transport service a Special Purpose Vehicle (SPV) in the form of limited company Atal Indore City Transport Services Ltd (AICTSL) was set up to operate and manage the public transport system in Indore. AICTSL currently is running 104 buses in the city through promoting private sector participation in terms of investment on and operation of high quality buses under the overall planning and control of AICTSL. Furthermore 125 SLF buses are being procured under JNNURM to improve the capacity .To meet the large demand and improve the capacity and productivity of buses, AICTSL has proposed to plan, to develop and operate Bus Rapid Transit System (BRTS) in Indore. BUS RAPID TRANSIT (BRT) system in the city will provide a safe and efficient transportation system that is environmentally friendly. The BRT system will provide an attractive alternative for motorists by reducing the delays traditionally found in regular bus systems by improving the infrastructure, utilizing bus runways, convenient bus stops/stations, modern vehicles, and adopting state-of-the-art technologies in the form of Intelligent Transportation Systems (ITS). the integration of ITS components into the proposed BRT system with the objective of improving the travel times, accessibility, ease of use, environmental impacts and attractiveness of BRT. INDORE ITS is a broad range of wireless and wired communications-based information and electronics technologies, which, when applied to the current transportation system, can help improve safety, reduce congestion, enhance mobility, minimize environmental impacts, save energy, and promote economic productivity. ITS are a cost-effective strategy that further enhances the BRT experience. ITS is the application of advanced communications and technologies to transportation systems providing advanced monitoring, control, and traveler information capabilities that allow better real-time management of roads and transit systems. Applying the data for developing algorithms to improve fleet management, bus service planning, incident management, and emergency planning. I. Grant Agreement singed by GOMP, GOI and AICTSL. II. PMC services for ITS for Phase I BRT Deployment in Indore- Award of Contract to M/s IBI Group Canada. III. An Memorandum of Understanding, has been signed with Traffic Police to assist AICTSL for enforcement and operation of ITS. Indore BRTS ITS Inception Report. Procurement Options & Strategies for Indore-BRT ITS. Fare Media options for Indore-BRT ITS. Communications & HDPE requirements for ITS. Indore BRT ITS Conceptual Design. Indore BRT ITS Fare System Conceptual Design. Data Analysis and Existing Operations Review Report.